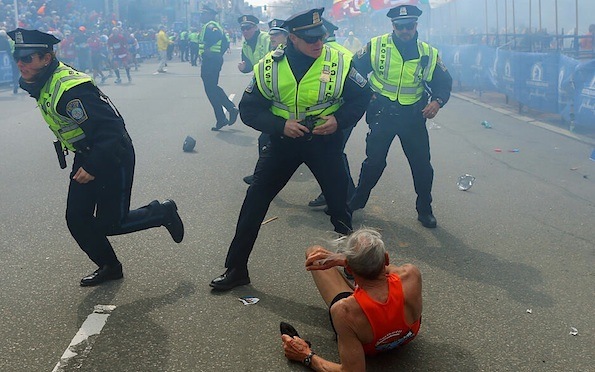 Massachusetts police are still trying to determine what happened after two bombs detonated rapidly next to the finish line at the Boston Marathon, killing two and injuring at least a hundred more at around 3:00 p.m.
AP reports that two more explosive devices were found after the initial blast in Copley Square. “There are people who are really, really bloody,” a Toronto woman said while being treated in the medical tent. 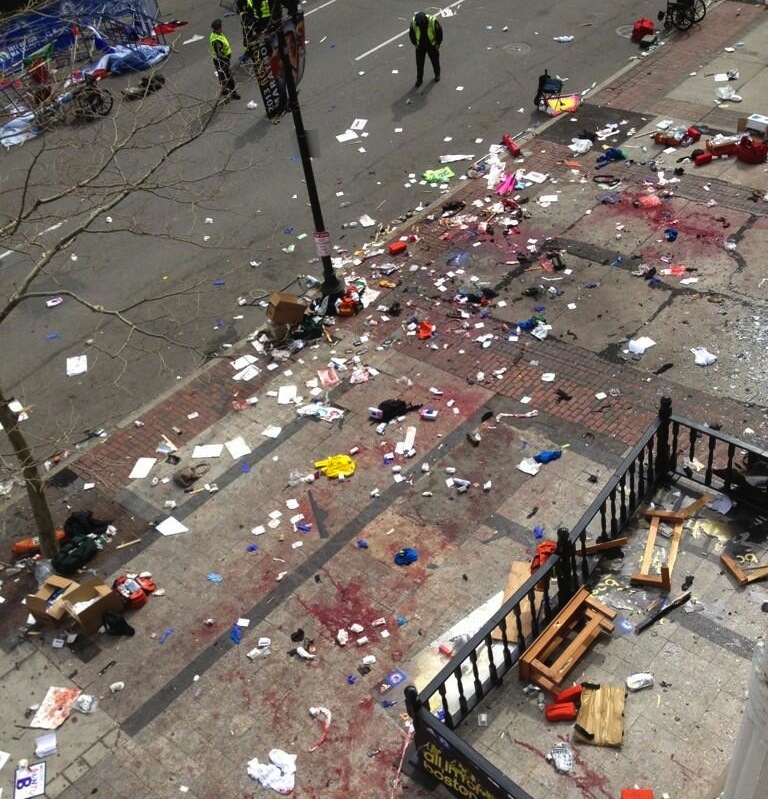 Another witness wrote on Twitter that victims “with lost limbs” were wheeled from the scene. There is no preparation for the VERY GRAPHIC photo of a legless man I just saw on Tumblr. 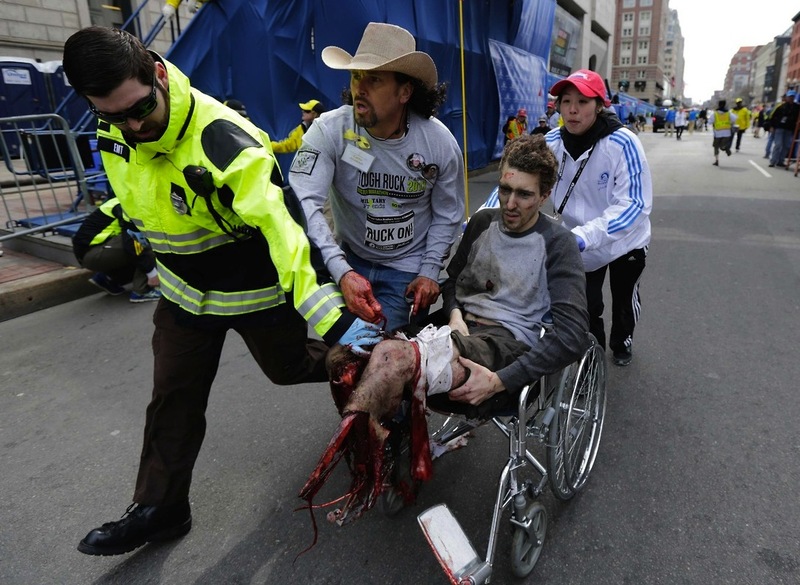 A thousand times worse than the one of Kevin Ware. Don’t blame me if you’re traumatized for life.